This tiny piece of paradise is full of history, mystery and legend. Rumoured to be the final resting place of King Arthur (just one of its many royal connections), it lies within the Isles of Scilly, a collection of around 200 rocks and islands off the Cornish coast. 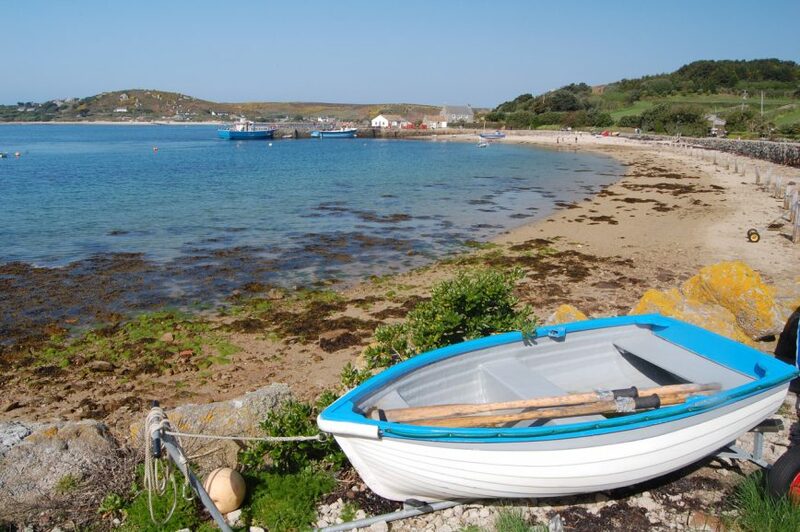 Tresco hit the headlines back in 2011 when cult British director, Joanna Hogg, made a film called Archipelago, about a family trying to re-kindle old holiday times on the island starring Tom Hiddlestone. More recently it was visited by the Duke and Duchess of Cambridge (in 2016). The Prince was also reported to be reminiscing with residents about family breaks with his mother, Diana, Princess of Wales, when he was a small boy. The island has been reviewed by Country Life as ‘an extraordinary magical place, whose sole raison d’etre is to welcome visitors’. The Independent reiterates David’s words but goes further, “Not just paradise on earth, it’s paradise in Britain.” The Financial Times talks of “rediscovering the golden summers of childhood – of white sands, blue skies and warm shallow waters in which to paddle and mess about in boats”. No wonder Tresco has become a byword for those that love ‘Boden and Blyton’. So just what is so extraordinary about it? We asked David. “We visited for a short break ten years ago and realised it was like heaven on earth”. David purchased a week in a 2-bedroom cottage in a fifteen year buy-back scheme and has since changed to a 4-bedroom apartment on a 35 year lease. “It has brilliant management, excellent leisure facilities including a pool and spa plus a great pub and super restaurants”. 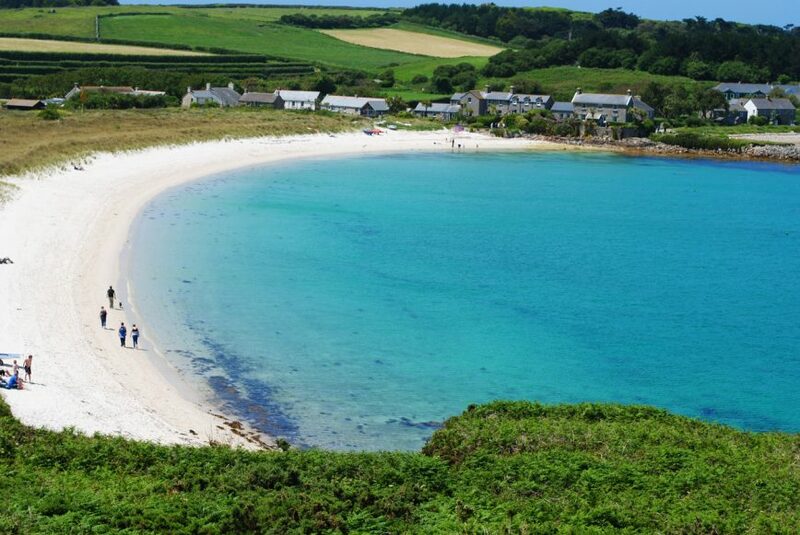 The Islandshare concept was developed over forty years ago, and since then more than 3,500 families have become owners of their own week in their favourite cottage on Tresco. Visitors to Tresco talk of a sense of true freedom and it seems to draw families back to it through the generations. The island definitely seems to engender a sense of ritual, something that Hogg’s film sort to convey. The advantage of purchasing a week on the island gives the ability to return year after year and reportedly the Islandshares are also passed down from generation to generation. And Islandshare is not simply an investment in a cottage – you also enjoy access to over 800 acres of private island paradise. “The stunning Abbey Garden is included along with access to a golf course on St Marys”, David tells us. Sadly not, so if you prefer to holiday with your wig wag then check out our post Dog-friendly Timeshare Resorts which features Karma Group’s St Martin’s Hotel on the Isles of Scilly – their accommodation and white sand beaches are dog-friendly all year round. 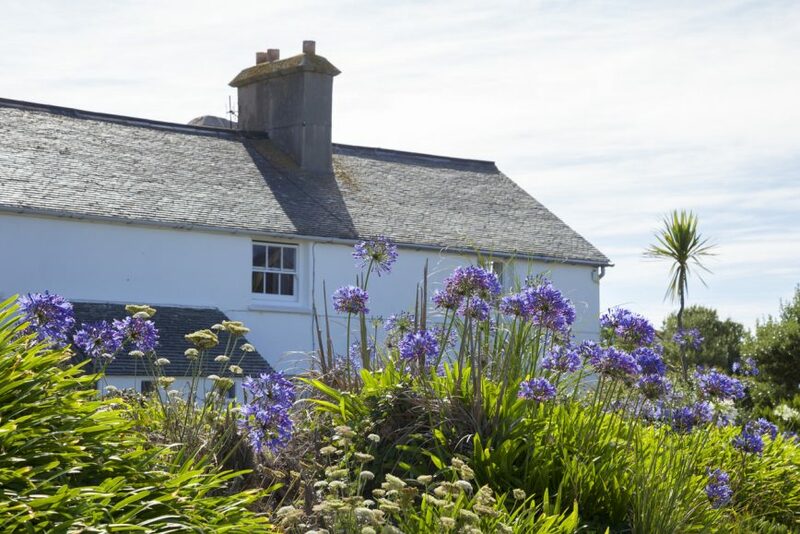 The traditional Scillonian cottages range from small one-bedroom former fishermen’s and flower pickers cottages, to large detached houses which can sleep up to 10 people. Many of them are right on the water’s edge with breathtaking views. Its easy to see why this tranquil haven is so popular with both young and old alike – permanent residents total around 150 so the island retains a calm, quiet, laid back vibe. Our thanks to David Head for his time and contribution to this article.